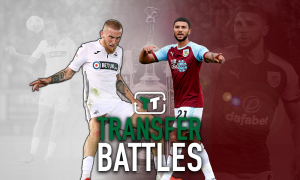 Swansea keen on Belgian winger | The Transfer Tavern | Where football transfer rumours fly or die! 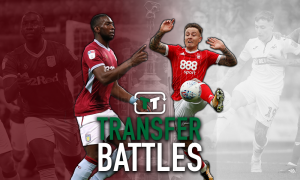 It’s been a fantastic week for Swansea City, and a couple of Welsh journos from the South Wales Evening Post have stopped by at the Football Transfer Tavern to inform us all that the Jacks are in the market for Belgian winger Roland Lamah. Michael Laudrup has enjoyed a fantastic debut season as Swans manager so far, and on Tuesday he masterminded a 2-0 win over Chelsea at Stamford Bridge in the first leg of the Capital One Cup semi-final courtesy of goals from star man Michu and Danny Graham. Results such as these have made players across Europe sit up and take notice, and highly rated Lamah could be the next to join Laudrup’s up and coming side. The 25-year-old has won nine caps for his country, and is currently plying his trade in Spain with Osasuna who last night caused an upset of their own by holding Jose Mourinho’s Real Madrid to a 0-0 draw in La Liga. Lamah has 18 months to run on his current contract, and is thought to be keen on a move to the Premier League, having played for the La Liga strugglers since 2008. Swansea fans. Would you like to see Lamah make the move to South Wales? Vote in our polls below.